Ever since the movie The Bucket List came out in 2007, the concept of things one wants to achieve before they die has become a huge part of the Western Culture. For many it features tasks such as ‘get married’ or ‘sleep under the stars’ while others opt for travelling and put down the major sites like the Statue of Liberty, the Eiffel Tower, or the Pyramids. But there’s always that portion of people who are a bit quirky and want to be a little different, or in the case of this list – a lot different. We’ve picked the top ten most terrifying, isolated or just plain weird places to put on your bucket list. 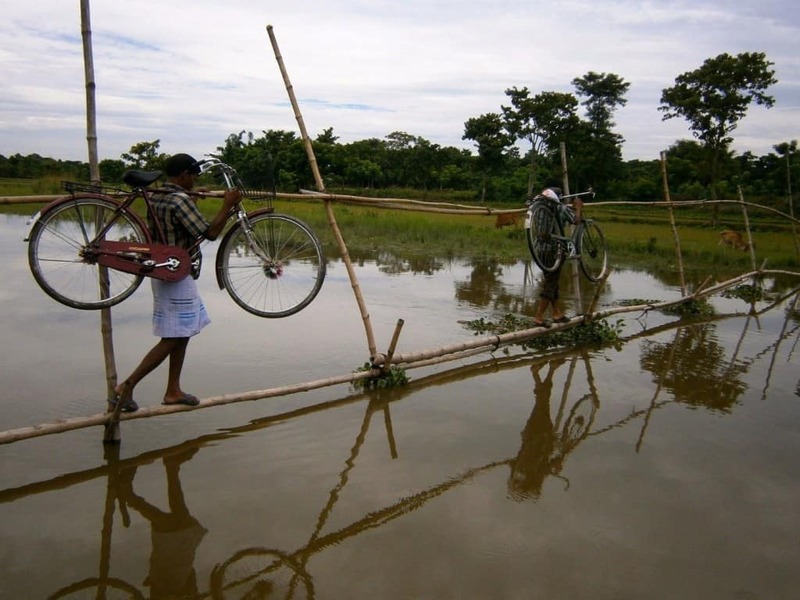 Have you ever dreamed of going from India to Bangladesh to India to Bangladesh to India? Here’s the good news, there’s a place called the Enclaves of the Dahala Khagrabari of the Cooch Behar District, and they are exactly what you need! Enclaves are small districts of a country surrounded by another country and are not so uncommon, most of them being quite small and unremarkable. The Cooch Behar district of India and Bangladesh has 106 Indian Enclaves and 92 Bangladeshi enclaves and each of those was created in such a way so it would ensure that Hindu villages remain a part of India while Muslim villages stay a part of Bangladesh. So if you’re missing some excitement and want to travel from one country to the next and vice versa the whole day, this might be the place for you. If you’re a snake lover, then Ilha da Queimada Grande is the right place for you. 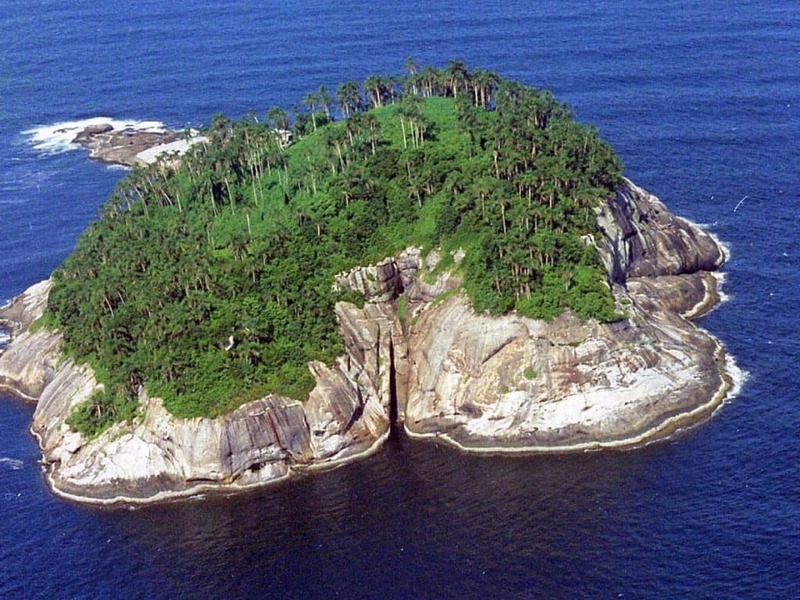 Commonly known as the “Snake Island”, it is situated approximately 20 miles off the coast of Brazil. It is also filled with snakes called Golden Lanceheads that are so venomous it takes them seconds to kill you. The snakes’ venom makes the prey start to digest before the snake actually swallows it. According to the locals, there are up to five snakes per square meter, or about ten square feet. If you do visit, maybe it should be the last point on your bucket list, as you probably won’t make it out of there alive. Did you know there is a piece of land completely uninhabited and so far from the developed world nobody even wants to claim it? The Bir Tawil is a section of the Sahara between Egypt and Sudan which was claimed as both Egypt and Sudan when the mapping system was put into place a century ago. Nobody even bothered fighting for this piece of land, instead arguing about who would be the one who has to take it. There are no residents, no infrastructure and no buildings, only 800 square miles of land. This part of earth is the only one, apart from Antarctica, that hasn’t been claimed by any nation. A lot of people live near the coast. However, have you ever wondered how it would feel to visit the place that’s so far away from the coast it’s literally as far as it can be? 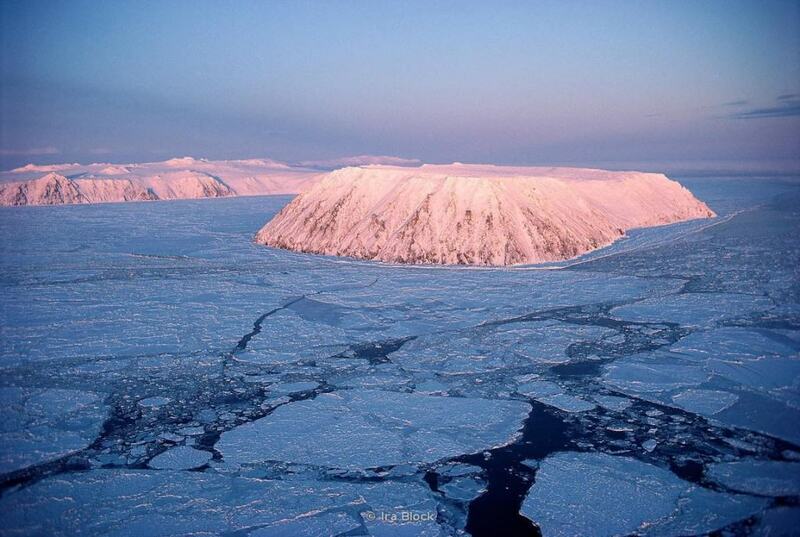 If you’re feeling adventurous then your next stop should be the poles of inaccessibility. The oceanic pole of inaccessibility is about 2,500 miles southwest of Santiago Chile and the nearest known land is a small island approximately 1,700 miles away. 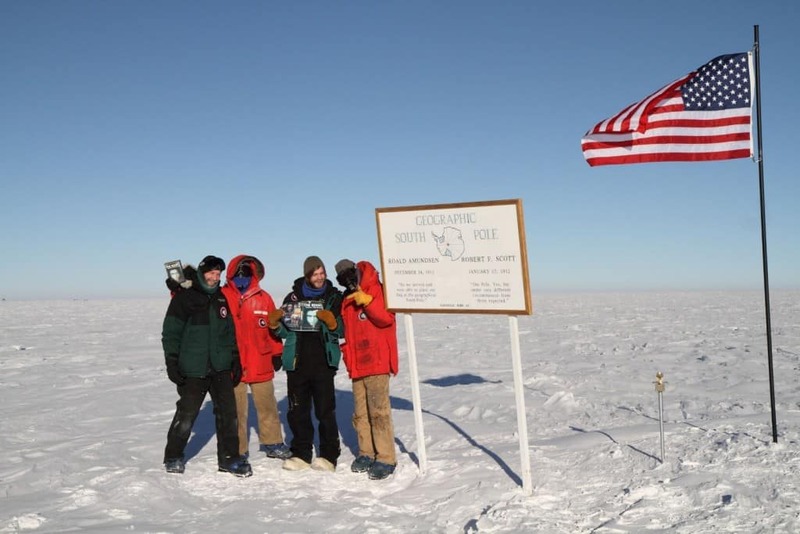 It’s so far away that it’s possible this is the least visited point on the entire Earth. 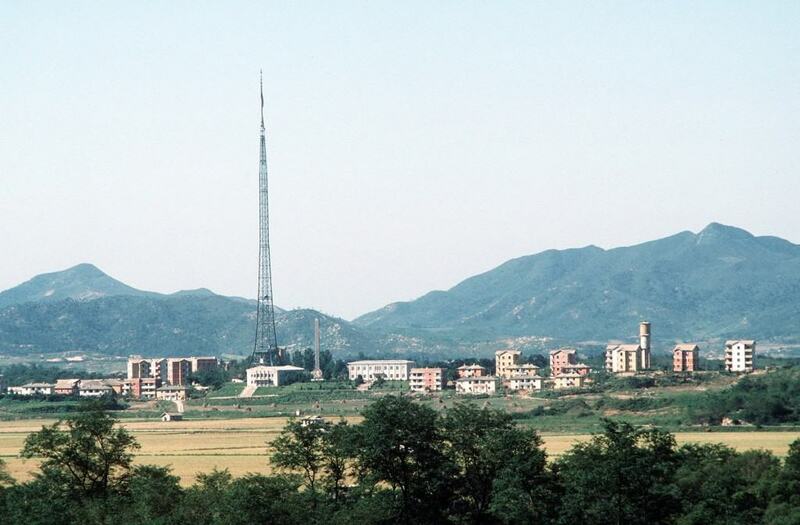 Kjong Dong is more known as North Korea’s propaganda village, a small place in their demilitarized zone which is the only settlement visible from their neighboring country, South Korea. It looks startlingly different from the rest of the country, with aesthetically pleasing houses and beautiful fields. But it is also just a set of some kind, populated only by actors pretending to be living there, with buildings having no windows, no interiors, and electricity seems to come on at a uniform time. A fake village, in a nutshell. 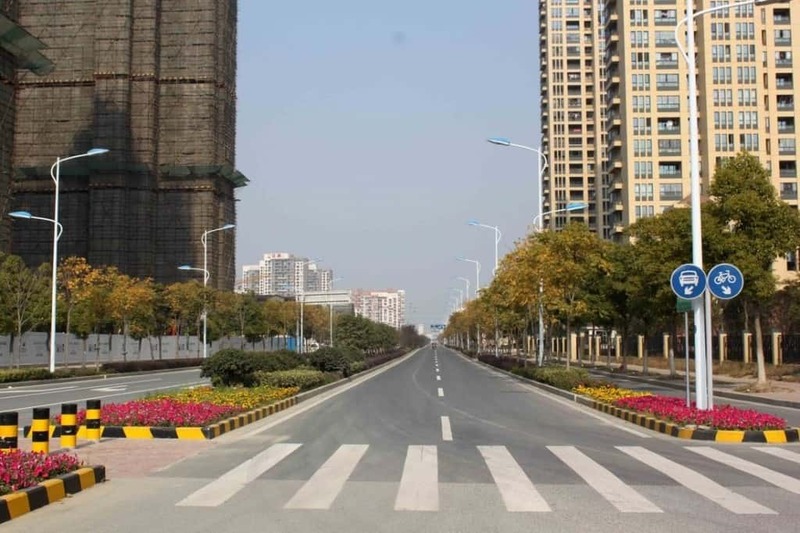 If you dreamed of visiting a place that you can experience by yourself and yourself only, then one of China’s ghost cities is the ideal place for you. The cities look beautiful, brand new and with fancy buildings. They are, however, completely empty. As part of China’s development plan, they’ve built beautiful cities in the hope that industry and financial centers will follow when people move in. However, that never happened, with many luxurious services and beautiful housing completely empty for years. Are you a fan of lightning storms? Then the Catatumbo river is a place of your own heart. For more than half of the year, the location is lit up at night due to the massive amount of lightning strikes. While it may not sound like the friendliest of places to go to, it will sure give you some great photo opportunities. 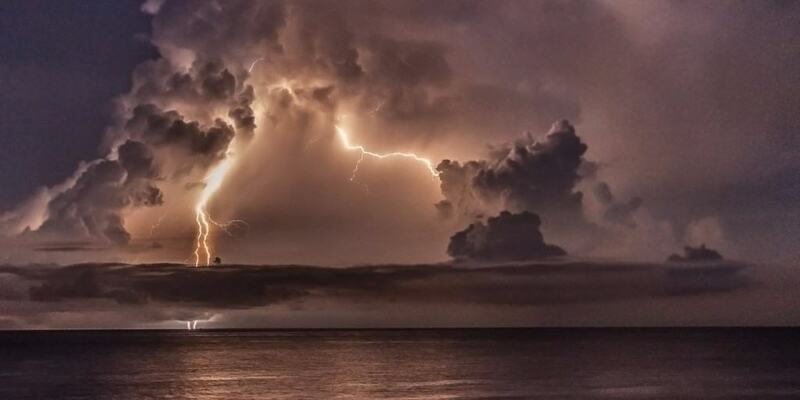 Lake Maracaibo is a place where a very uncommon thing happens – almost every night just after sunset, a huge thunderstorm forms and produces so much lightning it can last up to ten hours. The best thing about it is there’s no scientific explanation, it’s just there! It’s also becoming one popular place to visit as the show is quite spectacular. 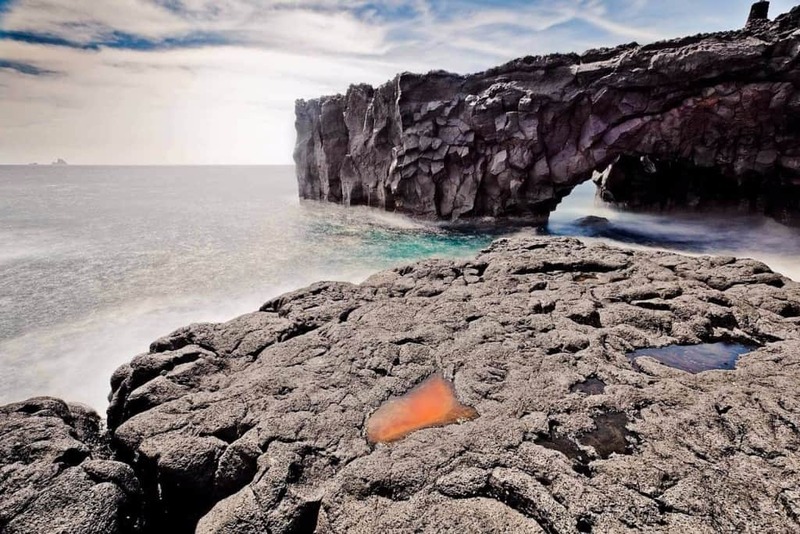 Earth is home to many weird places, and one of them is a volcanic island so inundated with sulfur that people need to carry gas masks all the time. Miyakejima on the Izu Islands is situated south from the main islands of Japan and is the home of many volcanic eruptions, which contribute to the very high levels of sulfur dioxide. The residents are instructed to always have gas masks on while tourists who decide to visit receive them when stepping on the island. Diomede Islands are a great place to visit if you like visiting the past. Want to go back a day? Then just skip from one island to the next! The two small islands are separated with two miles of sea and the Small Diomede Island is a part of Alaska, while the Big Diomede Island, which is uninhabited, is the Easternmost part of Russia. The thing that makes these island interesting is the fact they are separated by the International Date Line. The result is that anyone looking west from the village of Diomede is actually looking 21 hours ahead and seeing the future! While anyone who looks east from Big Diomede is looking into the past. Have you ever wished to travel to the center of earth? What about as far away from it as possible? 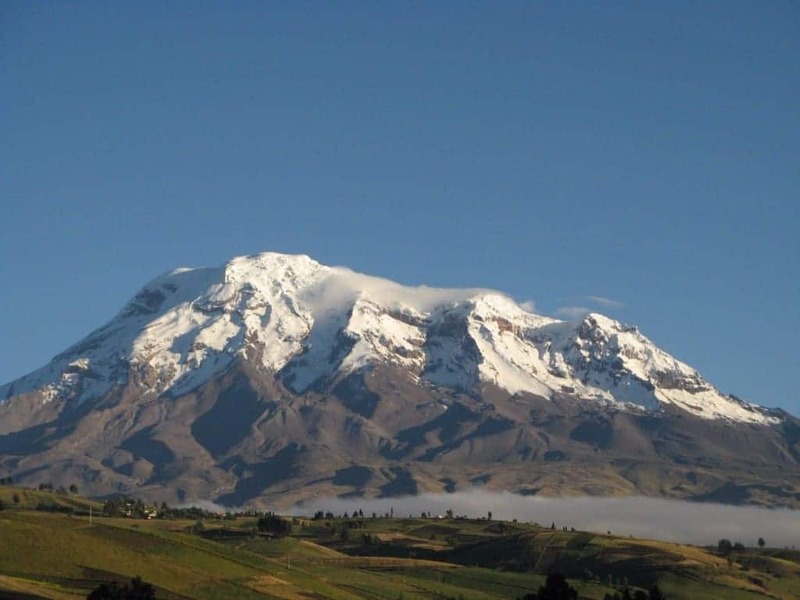 Chimborazo in Ecuador is a 20,564 ft peak known as the point farthest from the center of the earth. The interesting part is that Chimborazo sits at a mere 1° South latitude which means it should be almost at the equator. And geography teaches us that the areas closer to the equator are the ones that are further away from the center of the earth as the earth isn’t perfectly round. So forget Mount Everest, climb Chimborazo instead!